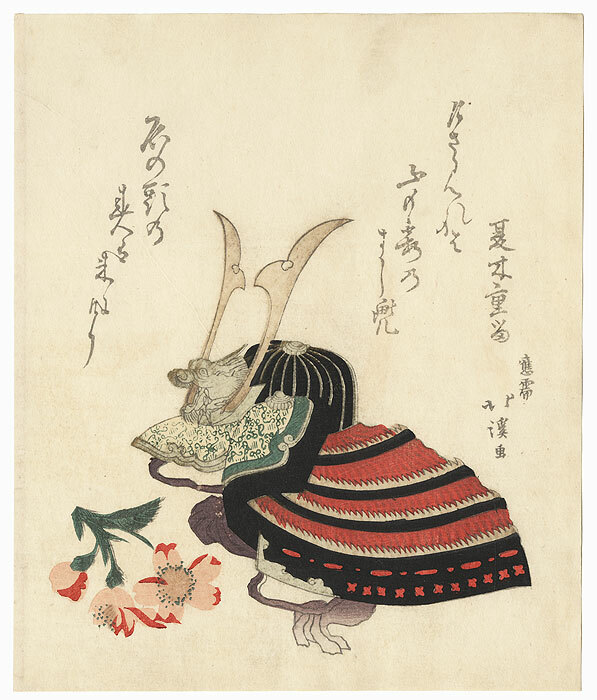 Comments - Fantastic surimono print of a samurai's horned helmet topped with a dragon's head. 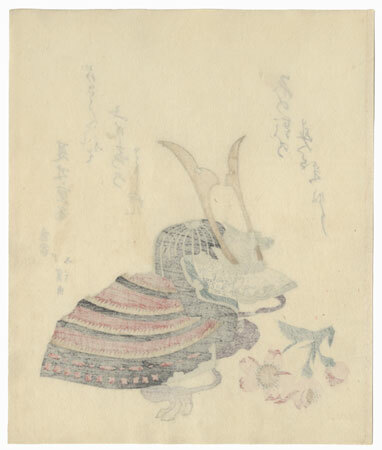 A sprig of cherry blossoms rests on the ground nearby. 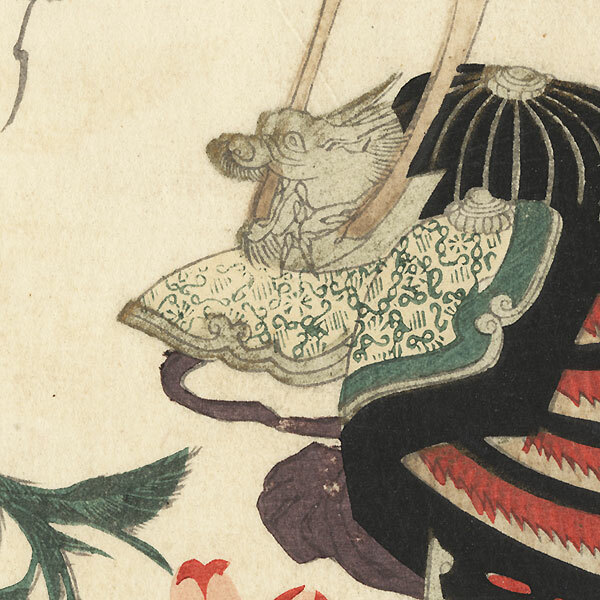 A wonderful image, detailed with metallic pigment that has oxidized to a dark tone on the dragon and horns.